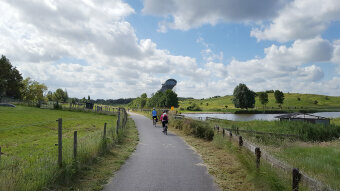 Our bike and barge tours have proven so popular that we are thrilled to bring you a second itinerary in Holland. 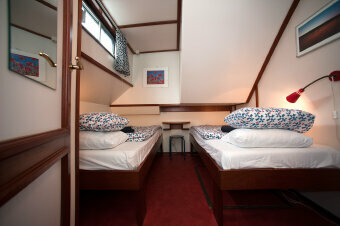 This trip starts in Amsterdam and travels all the way to the southern border of the country with Belgium. 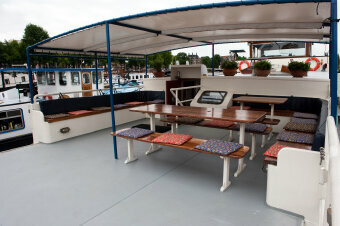 We’ll meander along the Meuse River for much of it. Come explore the country where children learn to ride a bike in second grade, where there are more bikes than people, and where bikes rule the road. 7 nights lodging, 7 breakfasts, 6 sack lunches, 7 dinners, rental bicycle and bike insurance, Royal Leerdam Crystal factory tour, cheese farm tour, and trained bilingual guides. There are a limited number of triple rooms available that come with a 10% discount per person. Fly into and out of Amsterdam, taking a train both to the start and from the finish of the tour. You can also fly into Amsterdam and out of Brussels for this tour. DAY 1: We meet at 2:00pm onboard our boat, the Sarah, docked in the wonderful city of Amsterdam. Try to arrive a day or two early so you can visit the Anne Frank House, the Van Gogh museum, or the Rijksmuseum full of paintings by Rembrandt and Vermeer. 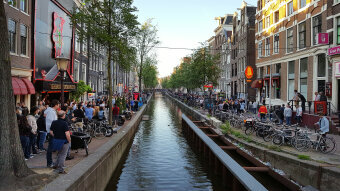 You’ll see more bicycles in this city than you’ve probably ever seen in your life! Our barge, the Sarah, holds 20 guests. 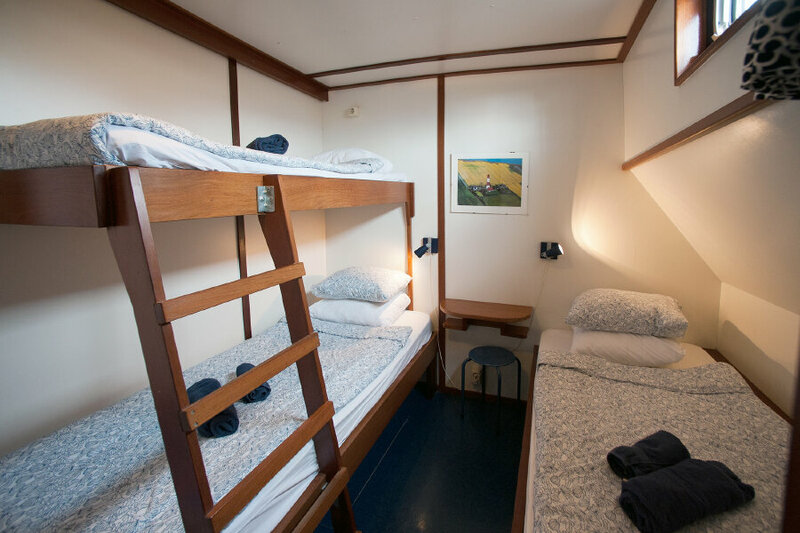 Most cabins have two beds and every room has its own bathroom. After introductions to the crew and a quick bike fitting, we'll motor to the small town of Weesp on the banks of the Vecht River. We'll stretch our legs with a short ride through this charming town. 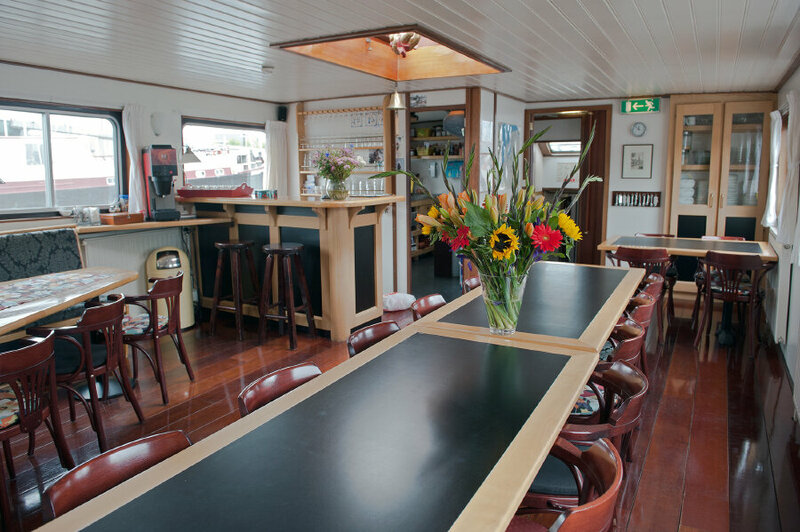 Then we'll enjoy our first dinner together on the barge. 0 miles. 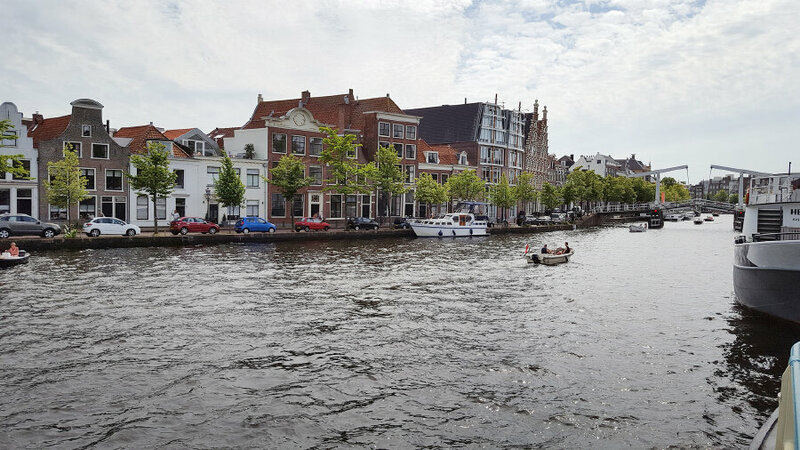 DAY 2: After breakfast, we begin our cycling along the river, riding past beautiful mansions originally constructed during the 17th century by wealthy merchant families from Amsterdam. 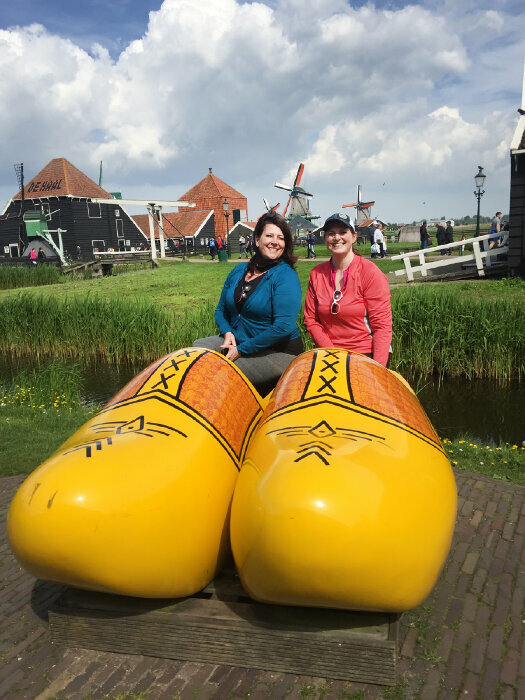 We’ll stop at a Dutch cheese farm where cheese is still produced the same way it was centuries ago. We'll see many windmills this week and learn about the crucial role they played in the history and prosperity of the country. Today, hidden turbines have replaced the windmills' usefulness, but they stand as a constant reminder that much of the Netherlands would be under water if the water weren't constantly being displaced. 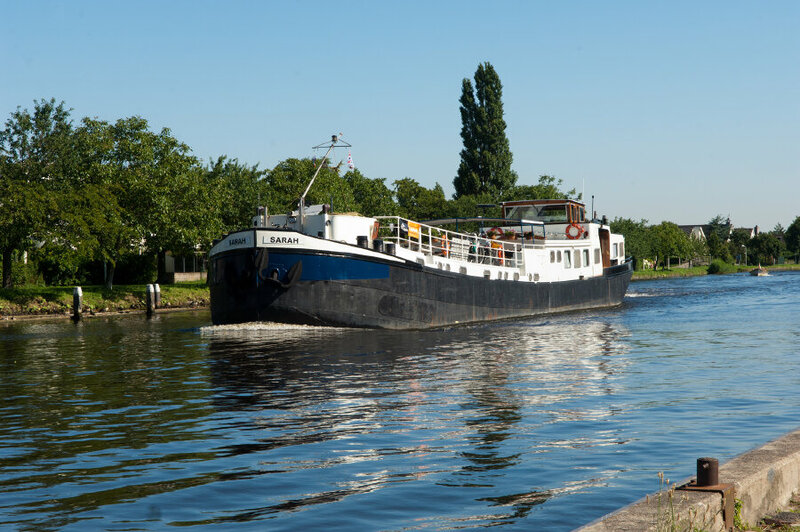 We'll meet our barge in the city of Utrecht, home to the largest university in the Netherlands, and sail to Vianen, our stop for the night. 28 miles. DAY 3: The first stop on our bicycles today is Leerdam, a small town on the banks of the Linge River and a major center for glasswork. We will visit Royal Leerdam Crystal, founded in 1765 and still manufacturing glassware today. If you watch the 1958 short Dutch documentary about glassblowing, you can compare it to the master glassblowers we’ll see during our visit. The exquisite film won an Academy Award for Best Documentary Short Subject and makes glassblowing look like a jazz music ballet. We’ll end our day back on the barge with a leisurely sail down the river to Heusden. 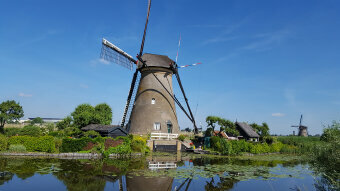 This picturesque town looks quintessentially Dutch. It’s surrounded by walls, water, and windmill covered dykes. 25 miles. DAY 4: We’ll motor to the village of Maasbommel during breakfast. Then we’ll start cycling along the Meuse River to the medieval cities of Ravenstein and Grave. We’ll see the John S. Thompson Bridge in Grave, named for the American lieutenant who led his platoon in an attack against enemy forces at the bridge during WWII. He returned home decorated with two Purple Hearts and became a professional baseball player. We’ll meet back up with our barge in the town of Cuijk, where its St. Martin’s Church is home to one of the country’s oldest organs. 24 miles. DAY 5: Today’s bicycle ride may be your favorite of the tour. We’ll cycle through Maasduinen National Park, full of forests and grasslands, stone ruins covered in vines, and parabolic dunes that move with the wind. Then we’ll see the magnificent Well Castle, a beautifully restored 14th century medieval castle, complete with moats, ramparts, and a watchtower. We’ll complete our cycling in the tiny town of Arcen. There you can visit the beautiful gardens surrounding an old castle turned museum. There are rose gardens, waterfalls, fountains, sculptures, and ponds full of koi. The Dutch love their flowers! 29 miles. 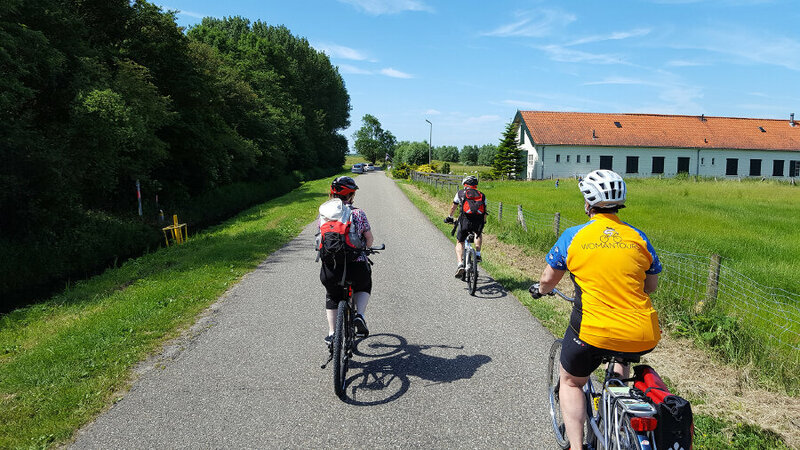 DAY 6: We continue cycling along both banks of the Meuse River, stopping in the lively town of Venlo and then in Kessel, one of the oldest settlements on the river. 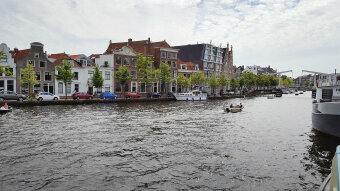 We’ll finish our cycling at the junction of the Roer and Meuse Rivers in the city of Roermond. It is the home of the famous 19th century Dutch architect Pierre Cuypers, who designed the stunning Rijksmuseum and the central train station in Amsterdam. 30 miles. 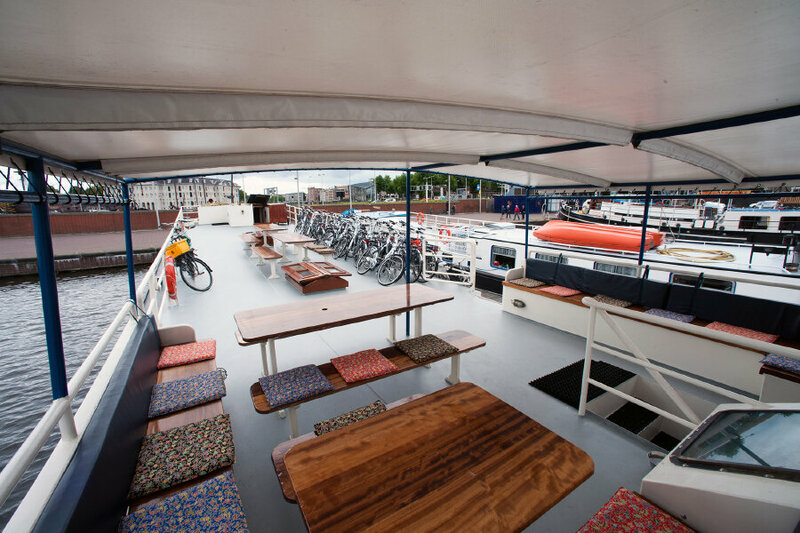 Day 7: After breakfast on the barge, we’ll cycle to the “white village” of Thorn. The only non-white building in the town is the 14th century church in the center. Then we’ll cross the border in Belgium and the quaint town of Maaseik. You can stop on the tree-lined central square and treat yourself to one or all of the delicacies for which Belgium is famous – waffles, mussels, beer and chocolate! 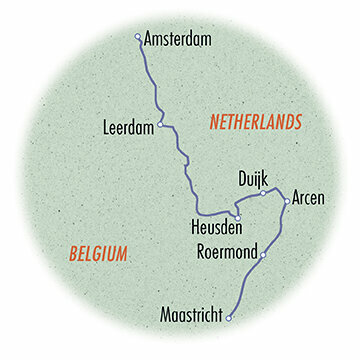 We’ll finish our week of cycling in the town of Born where we’ll motor the rest of the way to Maastricht. Begun as a Roman settlement, Maastricht is best known today for the Maastricht Treaty and birthplace of the euro. It’s a charming city with a lively central square. 25 miles. DAY 8: We’ll say our good-byes after breakfast, and direct you to the train station and airport for your trip home. 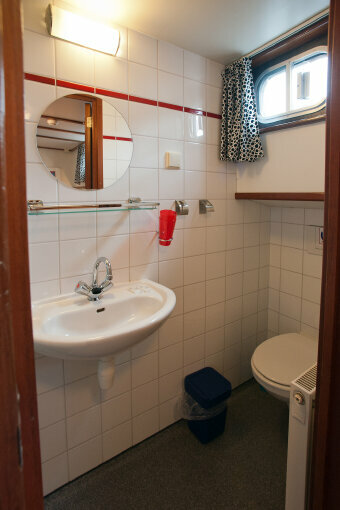 If you can take another day, stay in Maastricht on your own to take a guided tour of the Maastricht Underground. The fort and vast labyrinth of caves have been used for four centuries for reasons as varied as mining stone, hiding precious artwork, and sheltering people from ongoing wars. The drawings on the walls help illustrate the fascinating stories. Plus, with the sidewalk cafes and river promenades, you won’t get bored in this town. Tot ziens! 0 miles.